Silvio Fuchs in a laboratory of the Institute of Optics and Quantum Electronics of the Friedrich Schiller University Jena. 10-Aug-2017: A visit to the optometrist often involves optical coherence tomography. This imaging process uses infrared radiation to penetrate the layers of the retina and examine it more closely in three dimensions, without having to touch the eye at all. This allows eye specialists to diagnose diseases such as glaucoma without any physical intervention. However, this method would have even greater potential for science if a shorter radiation wavelength were used, thus allowing a higher resolution of the image. Physicists at Friedrich Schiller University Jena (Germany) have now achieved just that. For the first time, the University physicists used extreme ultraviolet radiation (XUV) for this process, which was generated in their own laboratory, and they were thus able to perform the first XUV coherence tomography at laboratory scale. This radiation has a wavelength of between 20 and 40 nanometres – from which it is therefore just a small step to the X-ray range. 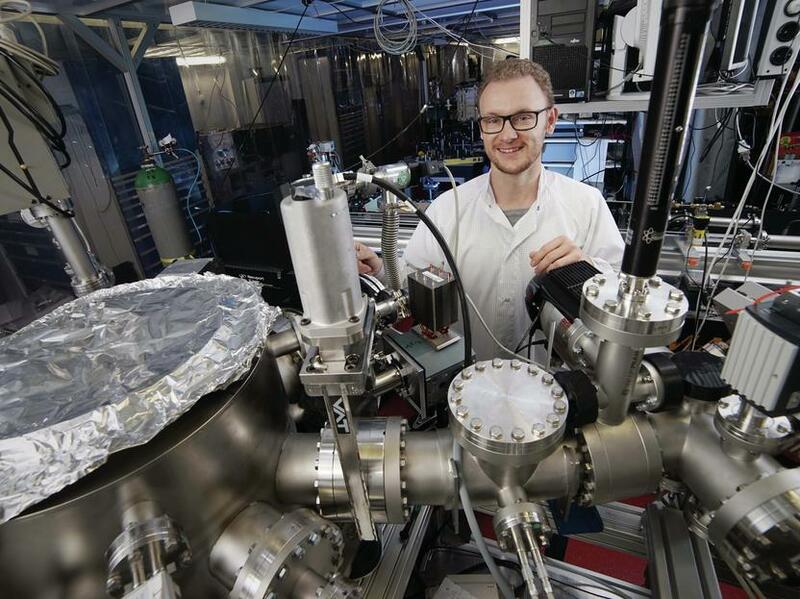 “Large-scale equipment, that is to say particle accelerators such as the German Elektronen-Synchotron in Hamburg, are usually necessary for generating XUV radiation,” says Silvio Fuchs of the Institute of Optics and Quantum Electronics of the Jena University. “This makes such a research method very complex and costly, and only available to a few researchers.” The physicists from Jena have already demonstrated this method at large research facilities, but they have now found a possibility for applying it at a smaller scale. In this approach, they focus an ultrashort, very intense infrared laser in a noble gas, for example argon or neon. “The electrons in the gas are accelerated by means of an ionisation process,” explains Fuchs. “They then emit the XUV radiation.” It is true that this method is very inefficient, as only a millionth part of the laser radiation is actually transformed from infrared into the extreme ultraviolet range, but this loss can be offset by the use of very powerful laser sources. “It’s a simple calculation: the more we put in, the more we get out,” adds Fuchs. The advantage of XUV coherence tomography is that, in addition to the very high resolution, the radiation interacts strongly with the sample, because differrent substances react differently to light. Some absorb more light and others less. This produces strong contrasts in the images, which provide the researchers with important information, for example regarding the material composition of the object being examined. The long-term aim could ultimately be to develop a cost-effective and user-friendly device combining the laser with the microscope, which would enable the semiconductor industry or biological laboratories to use this imaging technique with ease.